Good news from The ASCII Group. They are going to be hosting their popular "Success Summits" in Canada as well as the U.S. The first will be in Toronto on September 22nd. I'll add that to the calendar of events in my weekly newsletter. Checklists are critically important to creating SOPs - Standard Operating Procedures - for your company. This course is intended for managers and owners of a managed service business. It covers many facets of the "checklist mentality" that the instructors have used at a variety of successful I.T. consulting businesses. In addition to building hundreds of checklists and standard processes for KPEnterprises in Sacramento, CA, the authors have both written books, trained individuals, and coached teams on successful processes and habits for running a modern, successful managed service business. This course will cover daily the use of checklists in daily operations as well as the "larger picture" of running the entire company. It will address both internal checklists for running your own company and external checklists for managing client relationships and client technology. This is an intensive teleseminar course over a five week period. All assignments are voluntary, of course. But if you want feedback on assignments, please complete assignments during this course and email them to the instructor. Delivered by Karl Palachuk and Manuel Palachuk, authors of the Network Migration Workbook and many other books for MSPs - managed service providers. Received with press release today from my friends over at LOGICnow. Durham, NC, 30 March 2016 – LOGICnow, the global market leader in integrated cloud-based IT Service Management solutions, today announced the release of its MAX Service Desk Mobile application for iOS. This application delivers leading-edge field service management capabilities, giving IT professionals full visibility into their customer support in real-time, directly from within their iOS supported device. MAX Service Desk is a fully hosted, robust, streamlined support portal that enables IT professionals to deliver superior customer support service and to boost productivity. Using Service Desk Mobile further enhances the functionality of the Service Desk portal by allowing users to stay connected with their customers from their iOS device when on-the-go. The app provides full visibility into support activities and constant control of the key Service Desk functions. LOGICnow delivers the only 100% SaaS, fully cloud-based IT service management (ITSM) platform, backed by collective intelligence and the highest levels of layered security. LOGICnow’s MAX products including Risk Intelligence, Remote Management, Backup & Disaster Recovery, Mail and Service Desk – comprise the market’s most widely-trusted integrated solution. Deployed on over two million endpoints across 240,000 networks, the platform has the industry vision to define and deliver the future of the market. LOGICnow provides the most comprehensive IT security available as well as LOGICcards, the first ever IT notification feature powered by prescriptive analytics and machine learning. LOGICnow’s passion is helping IT professionals secure and manage their systems and data through actionable insights, rewriting the rules of IT. For more information, visit www.logicnow.com. Audio Version of Relax Focus Succeed® is Almost Complete! 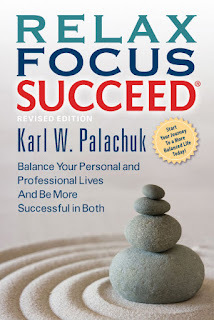 Every day we are closer to releasing the Audio Book version my of Revised Edition of Relax Focus Succeed®. The official release date is April, but there is a VERY strong possibility that it will be released within the next ten days. The book will be available as an MP3 download from my site -www.smbbooks.com - as soon as it's compiled. It will be available on Audible.com as soon after that as we can get it up. Probably a week. Since the book is pretty cheap - less than $20 - there won't be discounts once it's released. But if you want to pre-order the MP3 version, you can save $5 right now. That sale ends once the product becomes available. See www.smbbooks.com to order. Use code RFS5 to save $5 off that order. What's the best form for your company to take? There's a big difference between Sole Proprietor and S-Corp, LLC, or other forms. The biggest difference is what you'll pay in Social Security taxes when you make a high income. Your company form also affects how you sign contracts. Contracts are most useful because they also affect taxes. My latest video covers these topics with an example of how you save some serious taxes with a corporation. The key to success - so to speak - is that the real benefit kicks in when you have a significant profit! So if you business is only marginal, you need to spend your energy creating a business model that PAYS before you worry about moving away from a sole proprietorship. You can view my entire YouTube Channel at http://www.youtube.com/smallbizthoughts. My latest SOP video is posted. It's about the subject of Focusing on what you need to do. Focusing on what you need to focus on, really. Focus and execution go hand in hand. The most important SOP you have can have is the habit of focusing every day on the single most important thing you have to do - and then doing it. Too many people fall down on this score. First, they don't set their intention for the day. Doing this is not hard: But you have to set aside five or ten or fifteen minutes and DO IT! Why is it critically important to focus on the one single most important thing you need to day today? Because it forces you to sort through the clutter and prioritize. You can't pick 100 "most important" things. You can't pick 50. You need to figure out the one thing. And, to be honest, you should figure out the one thing in your business, the one thing in your family, and the one thing in your personal life. Not ten of each. ONE. One of each. If you don't go through this practice, you end up making excuses because you're overwhelmed. You have a hundred things on your list and you don't know where to start. So you clean the filing cabinet instead! I don't know how important it is to clean the filing cabinet, but I guarantee it's not the most important thing you need to do. You let yourself become overwhelmed and then you do something that's not even on any list! You've heard the phrase "Writers write." It's true for everyone. Consultants consult. Business advisers advise.Salesmen sell. Teachers teach. What they DO is FOCUS 100% on what they do. Every day. NOT make excuses, straighten the office, wait until the time is right, hire someone, fire someone, get a new computer, make sure the offering is perfect, and a billion other forms of procrastination. When you set too many tasks to do - and don't prioritize them - then you just work and work and work trying to make some progress somewhere. You're not organized and you're not efficient. You're just working. Focus helps you to work on the most important things first. When you do that, it's amazing how quickly everything else falls into place. You begin to make much faster progress on everything. Some people never excel at anything except excuses. Excuses for why they can't make sales calls. Excuses for why they don't do the things they need to do. 100% of everyone I've ever given advice to already knew what they needed to do. They didn't know where to start. Start somewhere. Start anywhere. Once 100% of your focus is on the DOING instead of on the excuses, you will make progress. Even if you start in the "wrong" place, you'll plow through that and move to the next thing, the next thing, and the next thing. You'll be moving instead of standing. Once you're moving you can make course corrections. You can do anything. But you have to stop wasting your time on all the little crap that does nothing to advance your goals. Oh yeah. This is kind of a tough love video. But it's short. In my latest video I talk about software policies that contribute to your success. This is a companion to the Hardware Policies video here. In this video I touch on some of the Software Policies you should have to maximize the client's investment in technology - and maximize your profit as a consulting company. One of the most important policies is to match the generation of software and hardware. Don't put old operating systems on new hardware; Don't put new operating systems on old hardware. The reason is clear: The mismatch guarantees that some drivers won't work and others will be buggy. People have this odd sense that they are saving money. But they end up spending it on chasing bugs. Another important software policy is to never skip more than one versions level on a software package that's important to the company. The biggest example here is Microsoft Office, but it's also true with the line of business software and any other important packages. The more consistently software works across an organization, the more productive everyone is. One easy way to do this is with subscriptions. I love the Adobe subscription model even though it's expensive. I have one laptop and three desktop workstations with the Adobe subscription. Everything is always the latest and greatest and It just works. The Microsoft model is a little harder since it costs the client money and you can't make a reasonable profit. I am currently including the Office subscription to Cloud Service clients via Intermedia. It costs me a little money every month, but certainly adds to the stickiness. One policy some people have trouble with is: Sell the latest Operating System. We, as nerds, like operating systems - or hate them, or prefer one over another. Clients generally care a lot less than we do. When you sell a new machine, just sell the latest O.S. All the game-playing to keep clients on the older versions just leads to more money being spent and to buggier machines. Period. It just does. Finally, it is critical to apply all patches, fixes, updates. Some of these are weekly and some occasionally. This includes service packs. Your schedule may be different than ours, but you should have a schedule and execute it regularly. A huge help in this is an RMM tool (remote monitoring and management). In my opinion, one of the most basic elements of professional consulting today is to have a good RMM. If you don't use an RMM, I believe you are not serving your clients as well as you should - and you're not serving your own company well either. I currently install MAXfocus agents on all client machines. People argue with me about each of these. But I can tell you from 20+ years of experience, our clients' computers don't break. Really. We make money because our clients and consulting company have the save goals: Stuff Doesn't Break. In order to reach that, you need to follow all the hardware policies and all the software policies outlined here. It takes a certain amount of faith to do these things. You have to believe that things won't break. You have to believe that it's worth the money. Yes, it will cost a little more up front. It will be a slightly larger initial investment. But the longer-term cost to the client will be lower AND the profit for you will be higher. Really. But you can't execute half way. You can't buy one new machine and expect everything to get better. You have to execute all of these all the time. You have to commit. And when you do, life gets better for you and the client! On your path to putting more money into savings, one of the biggest steps is getting out of debt. To be honest, these are not 100% related. You can go deeper into debt and but money into savings at the same time. You could borrow money and invest it. But I don't recommend that for obvious reasons. There's no point in building up a retirement account and then using the whole thing to pay down debt! Here are five steps you can take to make real progress on paying down your debt. Before you get started, you need to decide what your goals are. For example, do you want to be 100% debt free? That means your house is paid off, you have no car debt, and you don't owe anyone else anything. Most people don't have that as a goal. Most people want to be almost-debt free with just two big monthly payments: House/Rent plus a car. I think that's reasonable for most people. Personally, I love having my car paid off. So I get a five-year loan and try to pay it off in three years. Then I drive the car until it starts costing serious money to maintain. I generally spend about seven years with no car payment before I go do it again. Whatever your goal regarding debt, write it down. You might even make a big sign and put it above your desk to remind yourself. That way, as you go about your day, you can glance up there and ask the question, "Does this action drive me closer to debt-free or further away?" First Step: Take stock. How much do you owe and what are the interest rates? I highly recommend that you make an Excel Spreadsheet like the one pictured here. Tweak as you see fit. The goal is to simply get your arms around the problem. Once you know its size, you can handle it. This might be a little overwhelming if you have had really bad money habits. Good! You should be overwhelmed and you should be shocked enough to take care of it. You should be shocked enough to take the next two steps. Second Step: Create some kind of budget. For now just start with anything. Figure out where your money's going. Both personally and professionally, you should know where the "big chunks" of money go. I keep a fairly detailed spreadsheet for my business based on the reports from QuickBooks. I have "actual" expenditures for the months that have passed and "projected" expenditures for each month going forward. You can keep it as simple as you want, but you need to do something. At an absolute minimum, you need to create a budget for payments that will be made toward your debt. Third Step: Stop creating more debt. In other words, pay with cash/check/debit card and not credit card. This is a really hard one for many people. Remember: You got INTO debt by using credit cards to make short-term loans to yourself and your business. And you paid back some of that, but not all of that. And then you did it again and again. If your business needs periodic influxes of cash, you have a bad business model. Your business should NEVER need to borrow money from you. And it should pay you enough that you can live on. If it's not doing those things, you need to change your business model. You cannot lose money on a regular basis and make it up in volume! I'm going to write a separate article about living off cash, but you can start right now. Put your credit cards in a filing cabinet and get them out of your wallet. Now, figure out how much money you have in the bank, and start moving all payments to your debit cards. Notice I made that plural: debit cards. Your business debit card should pay business expenses and your personal debit card should pay personal expenses. I have been living and operating my businesses on debit cards/cash for more than eight years. In that time I have put only about $5,000 on credit cards. It might have been a bit above that, but it certainly wasn't $10,000. I use my debit cards for all scheduled monthly payments (MAXFocus, JungleDisk, Intermedia, etc.) as well as airfares, hotels, rental cars, food, hardware, and so forth. Everything. The debit card has a VISA or MasterCard symbol, so it's taken everywhere. Why pay cash/ATM? The answer is very simple: It forces you to stop paying for things unless you actually have the money. You want a toy quadracopter? Cool. When the money is actually in the bank, you can buy it. But don't put it on a credit card! Fourth Step: Adjust all payments up a bit. See the example Excel spreadsheet #2. 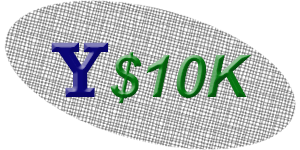 Just round up each payment to the next even $100 or $50 mark. This will result in a nice round number for your total payment allocation, which is $900/month in our example. You might make it even higher, but remember that we are always pushing forward on several fronts. I'd rather see you ALSO put an extra $100 a month into investments than to round up all the way to $1,000. So round up a bit. If you have extra money, go ahead and put it in investment. The goal here is to COMMIT to the rounded-up number and use that as your debt-attacking number until the debt is gone. Make this number a priority. Consider it just like the mortgage (It might include the mortgage). Never reduce it. Never miss it. That might mean that you need to eat dry Cheerios and Top Ramen for a few days before the first of the month. You'll live. After all, eating well played a role in getting you into debt, so eating lean should be a part of getting out. Fifth Step: Accelerate one payment. In my example, I accelerated the payment with the smallest balance. Some people recommend accelerating the one with the highest interest rate. That saves you the most money, but takes longer. I like addressing the smallest debt because you can pay it off faster. AND you don't change your total bill-paying allocation. You simply apply that whole amount to the next-lowest balance. As you can see, that will draw down that debt even faster. Continue this until all of the debts are gone. Do not take out another loan! Do not take money out of your home equity. Do not borrow from friends and family. In other words - Do not try to get out of debt by practicing the habits that got you INTO debt. There are millions of web sites and blog posts on reducing debt. You might want to Google the subject and check out other strategies. The strategy presented here is part of a bigger picture. You're still running your business, still leading your life, and still putting money into investments. You've simply isolated debt as a separate target to be tackled. This strategy has the added bonus that you moved to paying cash for everything. So you won't be adding additional debts. That's great for saving and investing! For earlier posts in this series, just search for the label "Y$10K" in the cloud tag on the right.